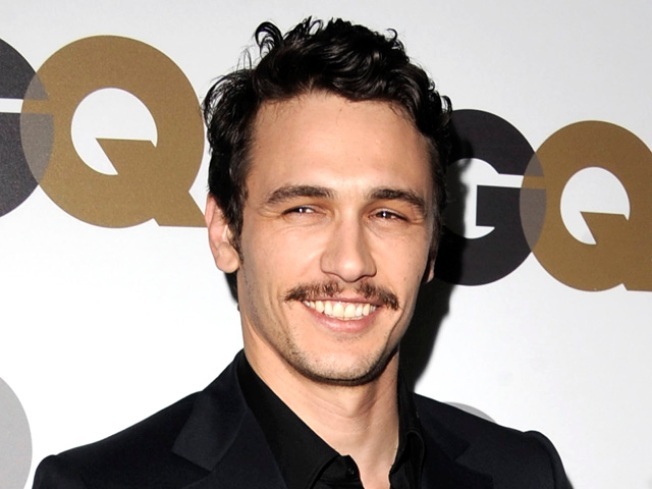 James Franco is looking to bring two great novels to the big screen. Actor, soap star, grad student, upcoming Oscar host – and soon to be acclaimed director? James Franco is looking to bring two great novels to the big screen. According to Entertainment Weekly, James hopes to direct film versions of William Faulkner's classic "As I Lay Dying" and Cormac McCarthy's "Blood Meridian." "I think they go together, though," the 32-year-old star told EW. "I think McCarthy is really influenced by Faulkner." James, who has directed a slew of short films and recently wrapped the feature, "The Broken Tower," said he's going to make some adjustments to the 1930 Faulkner classic in order for it to work on the big screen. "You want to capture the tone, but you can't work in exactly the same way," he explained. "I don't believe it'll feel the same if you divide it as rigidly as the book, like titles that say 'Cash' and then you're with Cash. You can slip into the characters' heads and give them their inner voice for a while, but it has to be more fluid because movies just work differently than books. Movies, in some ways because they deal in images, are more concrete. I want to be loyal to the book — my approach is to always be loyal in a lot a ways — but in order to be loyal I will have to change some things for the movie." As for "Blood Meridian," James enlisted the help of Scott Glenn, Luke Perry, brother Dave Franco and "Lost's" Mark Pellegrino to shoot a sequence from the book that helped convince producer Scott Rudin to give the project to him. "It was like, 'Why should he give it to me when Ridley Scott didn't make it?'" James told the mag. "So I called him up and said, 'I'm planning on doing this. You don't have to give me any money, I can finance this shoot. Would you just wait? Don't do anything with it until I show this to you.' And I showed it to him and he loved it." PLAY IT NOW: Would James Franco Date Jennifer Aniston?